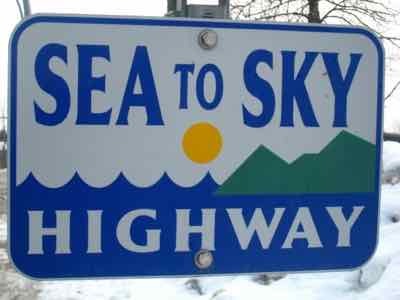 One way to explore this corner of Canada is to take the Sea to Sky Highway. ...or you could make it a driving trip to explore for a couple of days. Either way you'll be glad you explored this route. Tours are an option, but we think getting a rental car is the way to go. It's very scenic road with beautiful sights at almost every turn. "Sea to Sky Highway" is the name given to part of British Columbia Highway 99. This scenic part starts just north of Horseshoe Bay about 12 miles (20 km) from Vancouver and takes you to Whistler. Much of it is a two lane undivided highway running along cliffs and paralleling Howe Sound. Second because you'll want to... there are just so many places you'll want to stop and admire the scenery. You could do the drive in two to three hours if you went straight through, but why would you want to? Well, Horseshoe Bay right at the beginning is worth a look. It's a charming little seaside village with shops and cafes. Once you leave Horseshoe Bay, you'll be winding through the coastal old-growth rain forest, then the mountain regions of British Columbia. Have you read about our Norwegian Fjord Drive? Here's one closer to home for us. For about half the drive you'll be driving along Howe Sound which is really a deep ocean fjord. Drive along to Porteau Cove enjoying stunning coastal vistas. At nearby Brittannia Beach you can stop and tour the BC Mining Museum if that interests you. On your way to Squamish, stop and take a 10 minute walk to Shannon Falls. At 1,100 feet (335 m) it's one of the tallest waterfalls in Canada. The trail is steep but paved. In the cute little city of Squamish itself, train buffs can visit the West Coat Heritage Railway Park. Now it's a haven for outdoor activities and a good place to find a B&B, a rustic cabin, or a nice hotel so you can really explore. 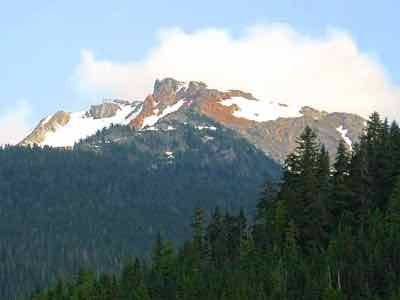 Heading north, you'll find a viewpoint where you can get a great view of the Tantalus Range before you pass through Garibaldi Provincial Park. You can stop in the park for hikes or picnics. 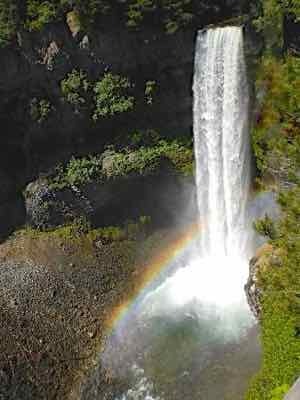 Brandywine Falls is worth a visit. Shorter but also pretty amazing. And then there is Whistler itself. It's always been famous as a ski resort. This is where the 2010 Olympics ski competitions were. It's worth a visit at any time of the year. There is hiking and beautiful scenery and the road is much more fun to drive in good weather. 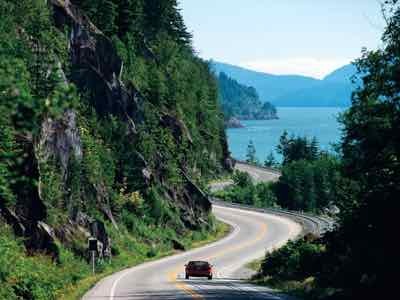 Canadians like to boast that the Sea to Sky Highway is one of the most beautiful and scenic drives you'll find anywhere in the world. We've driven many scenic highways that can make this same claim, but we think the Canadians are right about this one!